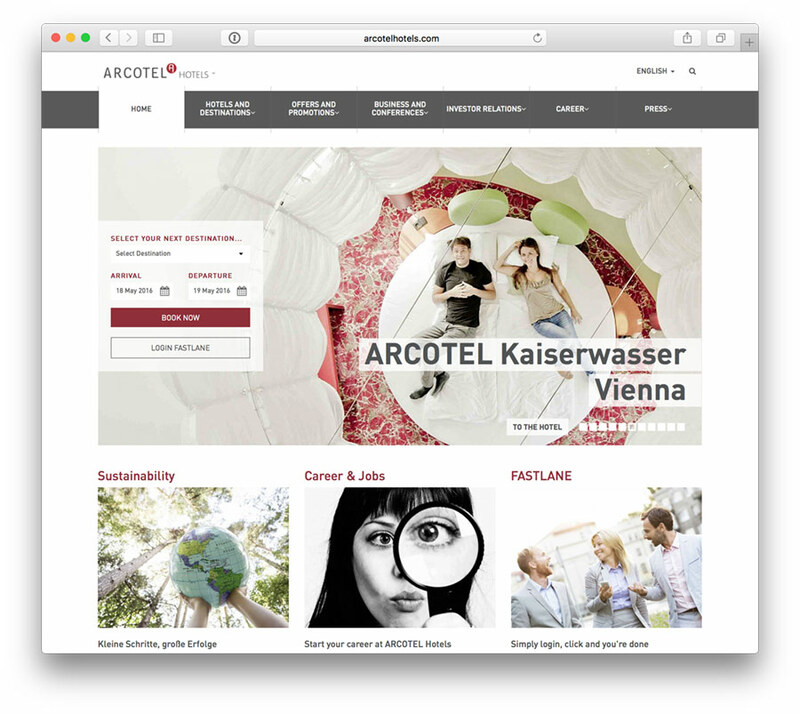 Arcotel Hotels, the Vienna-based hotel group with hotels in Austria, Germany and Croatia, has launched their comprehensive new website today at http://www.arcotelhotels.com/. The website has been developed with Arcotel Hotels’ longtime online strategy partner Bookassist. The Bookassist web design team has worked with Arcotel Hotels over the recent months to produce a tailored web structure with over 2300 pages of information in 3 languages, easily managed via a customised content management system. Apart from bringing a fresh and modern responsive design, special emphasis was placed on imagery with a photo slideshow highlighting the individuality of each Arcotel Hotel. The website is the key focus of the hotel company’s drive to build an even stronger direct-booking business online.